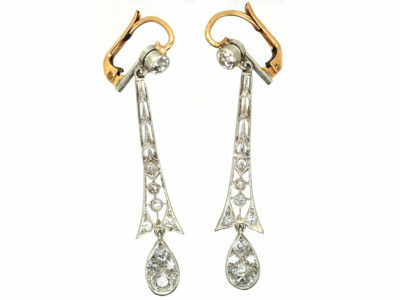 A beautiful pair of platinum earrings that were made circa 1920-1930. 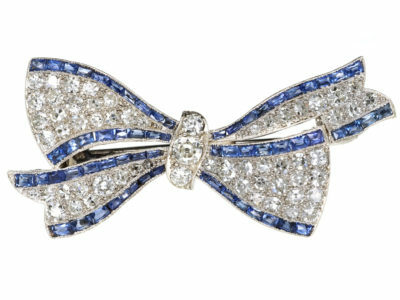 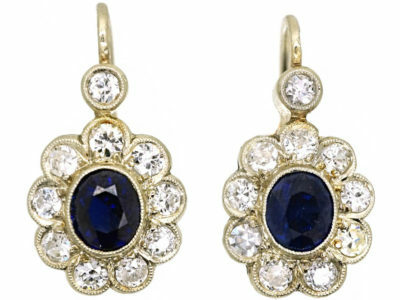 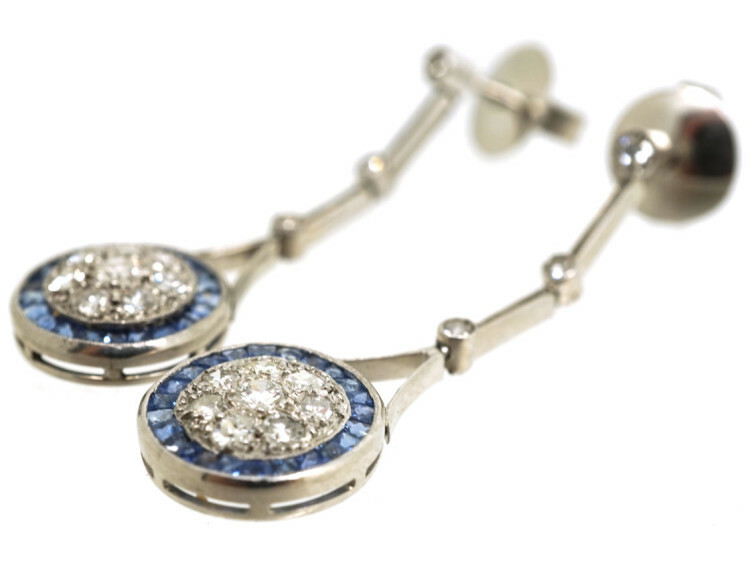 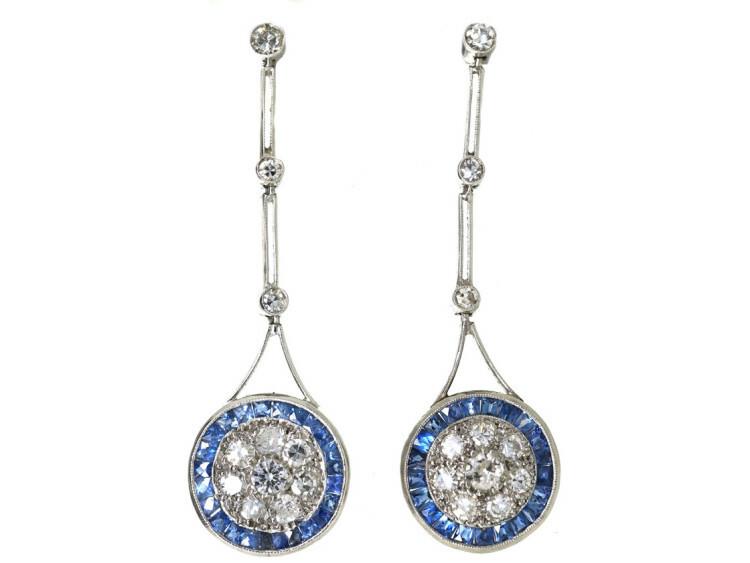 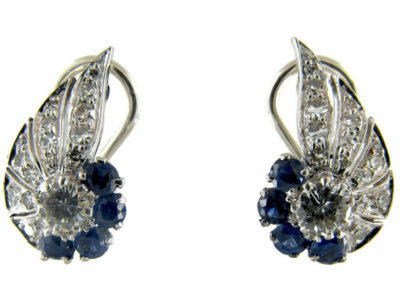 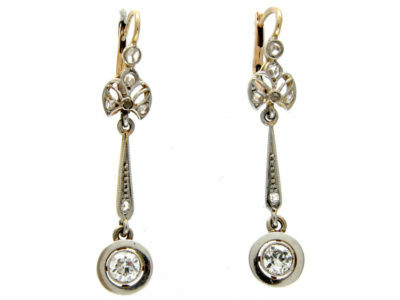 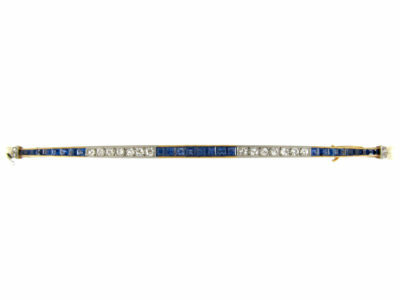 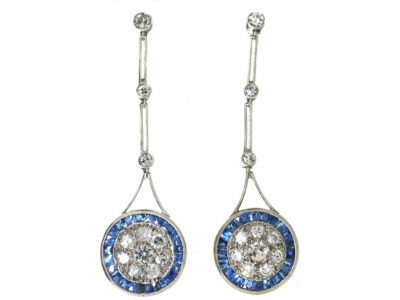 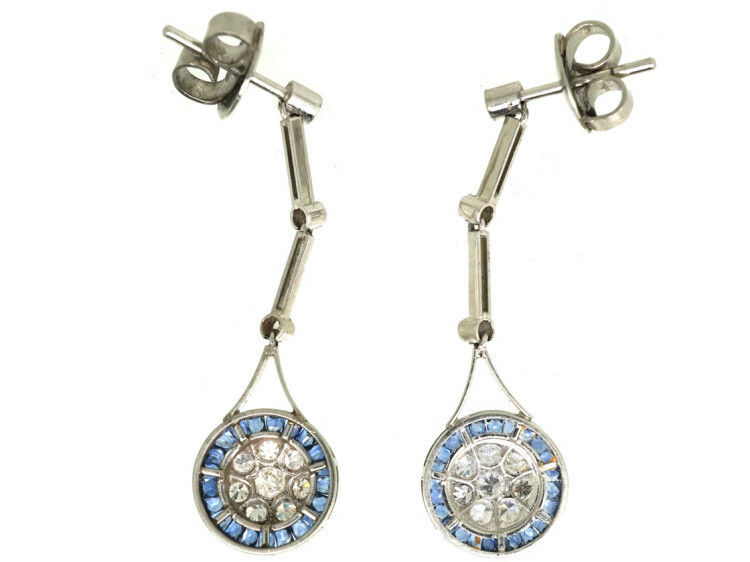 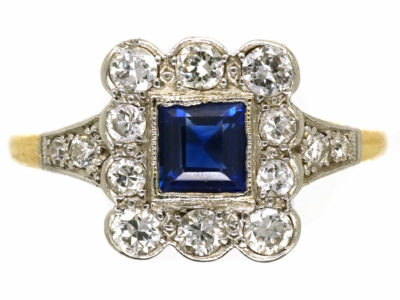 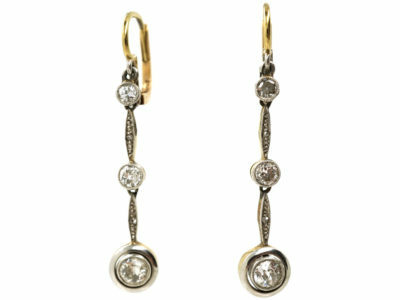 They are set with French cut sapphires and good white diamonds. 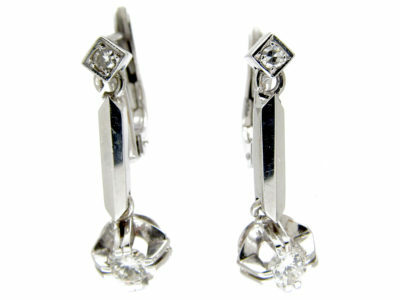 There is good attention to detail with fine millgrain work throughout. 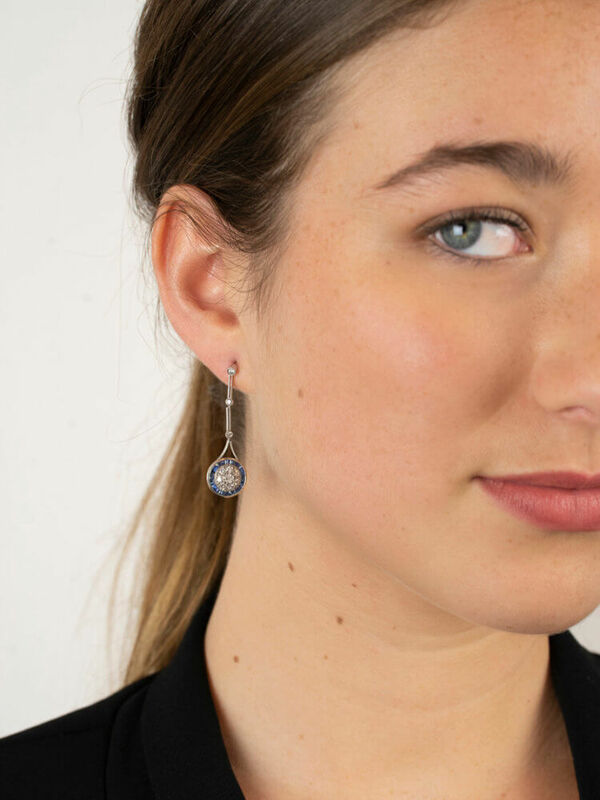 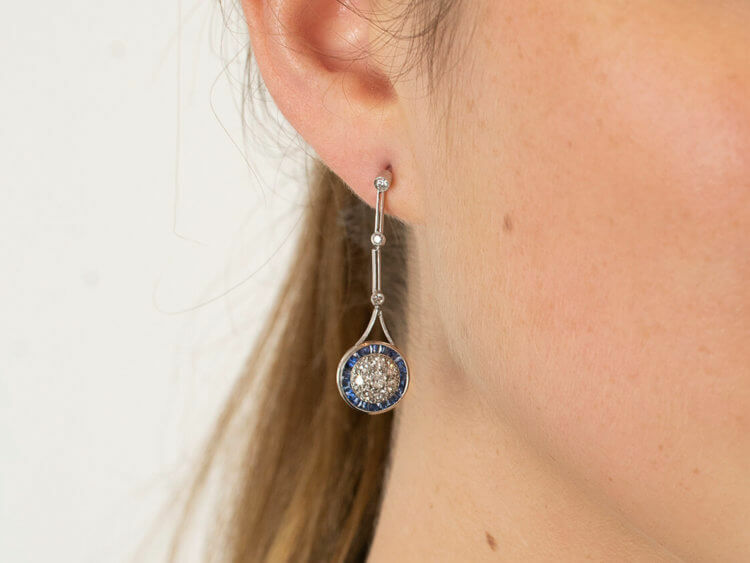 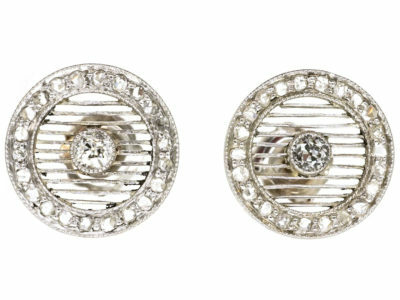 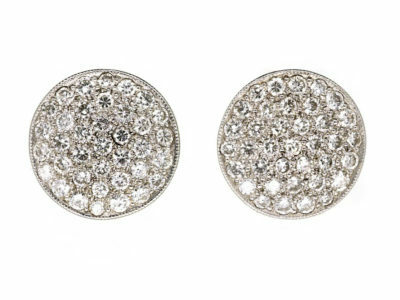 Millgrain decoration is the form of tiny bead shapes that are raised using a knurling tool and which add intricate detail and which give these earrings an elegant look. 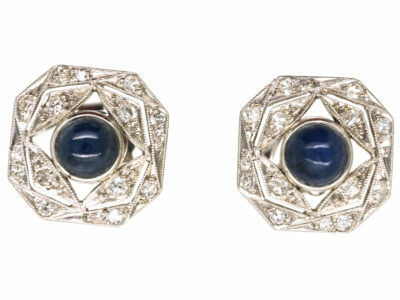 There are many copies around but these earrings are original.